5 Risk Factors – Who Gets Gallbladder Stones? 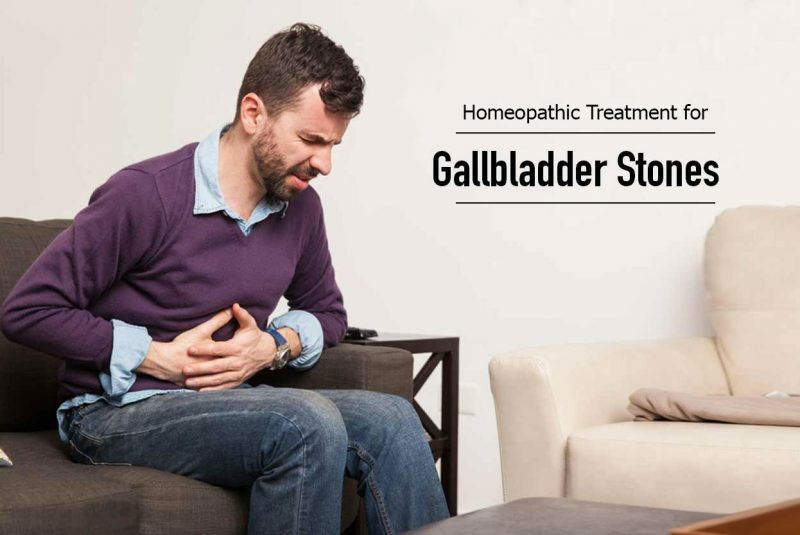 In this post of Homeo Expert, we shall discuss the Best homeopathic medicine for Gallbladder Stone and gall bladder pain or gall bladder stone treatment in Homeopathy. Cholelithiasis is a medical term for gall bladder stones which are deposit of digestive fluid. In Hindi or Urdu, we call it pitty ki pathri. The size of the gall bladder stones can be as small as the grain sand and it can be as large as the golf ball. Some people get one gall stone and some of them get multiple stones at the same time. If your liver produces more cholesterol than your bile’s ability to control it then it will turn them into crystal which will become stones. Bilirubin is a chemical which is available in the body and it comes into existence when the body breaks down RBCs. Excessive bilirubin can cause gall stone formation. It can become another cause of formation of gallstones in the body. Cholesterol gallstones is the most common type of gallbladder stones almost 80 % patients get this type of gallstones. It is yellow in color. They are made up of bilirubin and they are black in color. Risk Factors – Who Gets Gallbladder Stones? Homeopathy is replete with a number of medicines for treating gallstones. Homeopathic medicines for gallbladder stones are made of natural substances which are devoid of side-effects. In order to select the best homeopathic medicine for gallstones, we need to take a brief history and symptoms of the patient. Chelidonium is the best natural homeopathic medicine for gallbladder stone in which pain is present. This medicine is the best cure for pain that occurs due to gall stones and jaundice when the obstruction of bile ducts is also present. Pain under the right shoulder blade is the significant symptom of Chelidonium. It is also a useful homeopathic medicine for jaundice when the skin of the patient is yellow, stool is clay-coloured and urine is dark in color. The tongue of the patient also becomes yellow in jaundice. Vomiting and nausea may present. Along with above symptoms of homeopathic remedy Chelidonium, the patient also wants to have hot drinks. Additionally, it is also an ideal homeopathic medicine for gall bladder problems during pregnancy. Lycopodium is a natural homeopathic remedy for gall bladder stone treatment along with gastric troubles including gas in the abdomen, acidity or bloated abdomen. The patient of this medicine experiences distension of abdomen after having a small quantity of food. The gas moves in the abdomen and the patient passes it with the utmost difficulty. When the patient eats starchy and flatulent food he feels acidity. In addition, the patient also feels fullness of abdomen after having a small amount of food with a decreased appetite. Craving for hot drinks and hot drinks is also present with gastric complaints. Calcarea Carb is another homeopathic treatment for gallbladder stones and the selection of medicine depends on individual symptoms. It is an ideal remedy for those patients who are overweight. The patient has excessive fat in the abdomen with hardness and distension. Other symptoms are sensitivity to cold air and profuse sweating on the head. Additionally, the patient also desires for strange things including chalk, lime and pencil and boiled eggs as well. The patient does not like hot food and likes cold drinks. Calcarea Carbonica is also beneficial and gives relieve to sour belching and sour vomiting that occurs due to gallbladder stones. Carduus Marianus is the best natural homeopathic medicine for gallbladder when it is inflamed. The patient feels pain in the right upper part of the abdomen in gallbladder region with vomiting and nausea of burning fluid. It can also treat jaundice in gall stones. Homeopathic medicine Phosphorus is a natural homeopathic medicine for gallbladder stone patients where they feel sour belching and vomiting right after eating something. The patient desires for chicken, ice creams, cold drinks and fish in the diet. Additionally, it is also a useful remedy for jaundice when the stool is offensive in nature and follows great weakness. Dioscorea Villosa is the first homeopathic medicine that comes to the mind when the patient feels acute pain due to gallbladder stones. The abdomen of the patient is replete with gas in Dioscorea. Chelidonium is another helpful homeopathic remedy for pain due to gall stones and the location of the pain is below the right shoulder. Berberis Vulgaris gives relief to sharp, stitching pains in the gallbladder. The pain becomes worse from applying pressure. Colocynth gives relieve to shooting and cutting pain and it becomes better from applying pressure. Lycopodium is an ideal homeopathic remedy for flatulence in abdomen mainly in the lower region. The abdomen of the patient is bloated after light eating. Starchy food can give rise to gas problems including cabbage. When the patient feels painful distension along with flatulence, China is the best medicine. The walk gives relief from distension. Carbo Veg is another helpful medicine for gall stone patients where the gas the is present in the upper region of the abdomen. The patient feels that his abdomen is heavy, tense and distended. When he passes a little gas, he gets relief from the symptoms. Nux Vomica is a suitable homeopathic medicine for gallbladder stone that occurs due to acidity and it occurs right after eating. Additionally, they also experience sour burps, nausea and weight in the stomach after having a meal. After eating spicy food, and intake of coffee and alcohol give rise to acidity. Pulsatilla is another suitable treatment for gallbladder stones when acidity occurs due to fatty and fried food such as cream and butter. Robinia is useful for burps which are burning in nature and accompanied by excessive gas in the abdomen. Sour vomiting may present. Arsenicum Album gives best results when the patient experiences vomiting immediately after drinking or eating something. The patient feels pain in the abdomen which is burning in nature. Ipecac works wonderfully when the vomiting and nausea are persistent in nature. In acute Cholecystitis, the patient feels severe pain in his gallbladder location that is, right upper abdomen, epigastrium which is mid part of the upper abdomen or below the right shoulder. The pain is severe in nature and it is accompanied by vomiting, nausea, fever or loose stools. Belladonna, Chelidonium and Cardus Marianus are the best homeopathic remedies for Cholecystitis. So these medicines can treat gallbladder stones along with inflammation of the gall bladder. If the stones are present in common bile duct, they can obstruct it and the condition can become critical. Fever, vomiting, obstructive jaundice and abdominal pain show that there are gallbladder stones in common bile duct. Fel Tauri, Chelidonium, Carduus Marianus, Myrica and Chionanthus are the best natural homeopathic remedies for stones in common bile duct. After the surgical remove of the gallbladder that is, Cholecystectomy, the patient experiences different problems including gas in the abdomen, acidity, and bloated feeling etc. Natural homeopathic remedies for Cholecystectomy are Carbo Veg, Raphanus and Natrum Phos. Raphanus is a useful homeopathic remedy for excessive gas in the abdomen after surgical removal of gallbladder. The gas does not move, neither in downwards or upwards, and the abdomen becomes bloated. Homeopathic medicine Natrum Phos is suitable for sour vomiting and belching along with acidity in the stomach. Carbo Veg is another suitable remedy for Cholecystectomy where the patient feels distension of abdomen due to accumulation of gas and burning in stomach. In such cases, the digestion of the patient becomes slow and weak. A Polyp is an abnormal growth can occur due to the mucous membrane lining from gallbladder. It emerges on the scene during ultrasound and it does not have any symptoms as well. Calcarea Carb is a suitable remedy for Gallbladder polyps or gallbladder growths. It is also useful in nasal polyps. Do not skip meals it can increase the risk of gallstones. Lose weight slowly because instant weight loss can lead to gallstones. Maintain a healthy weight do not get overweight otherwise, it will increase the risk of gallstones.